In this new movie review series, Nathanael Molnár and Rob Giachinta talk about a new film and say whether to go see it, don't go see it, or wait for it to come out on a streaming service. 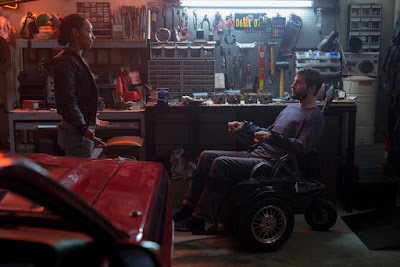 In this installment, they discuss the new Blumhouse sci fi movie, Upgrade. You can read our spoiler-free review for the film here. What do you think? Will you be going or not going to see Upgrade? Will you wait for it to come out on a streaming service? Leave your thoughts in the comments section below.